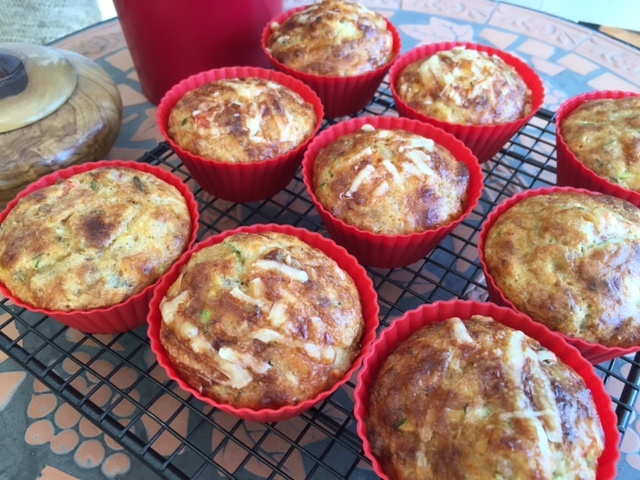 Today marks the arrival of Spring here in Australia and I thought these savoury muffins would be a nice recipe to share for the start of the new season. When it comes to muffins my tastebuds favour dessert style ingredients like bananas, walnuts, chocolate and coconut. But with this recipe I wanted to experiment with something different. 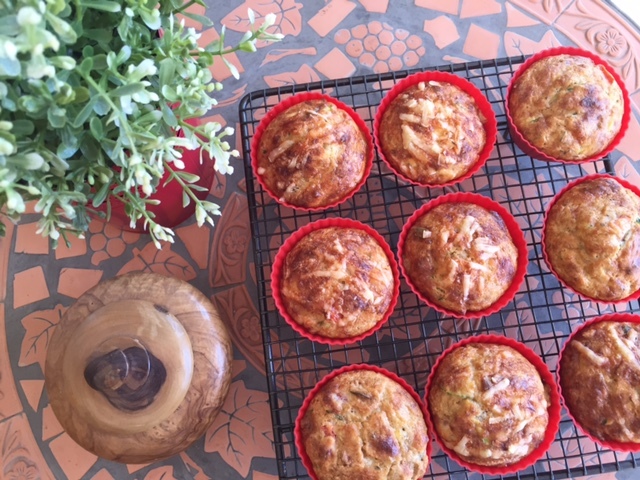 So I banned my usual ingredients and baked these cheese based muffins (with a little inspiration from Jamie Oliver’s website). They turned out so well that a second batch followed shortly afterwards. 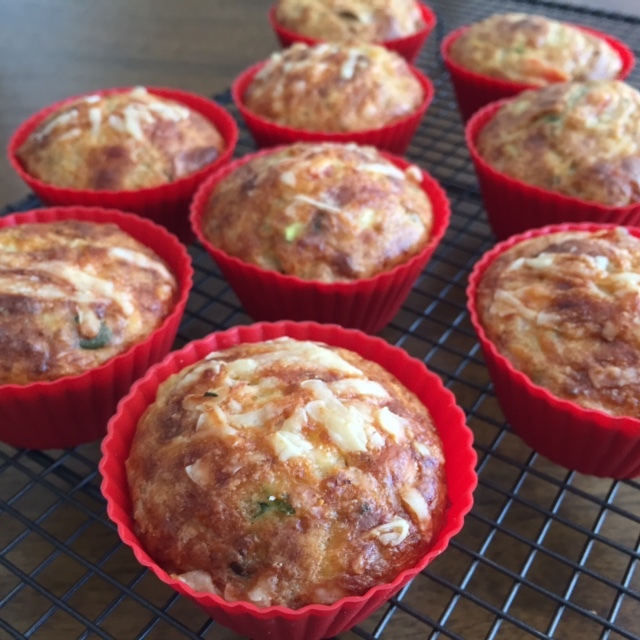 These cottage cheese, zucchini and parmesan muffins make the perfect light breakfast, afternoon snack or picnic companion. They’re packed with protein which also makes them a great pre or post gym work-out fuel. They’re also gluten free and packed with healthy fats. And there’s more good news – because the ingredients are all relatively saintly you can free yourself from post muffin guilt. 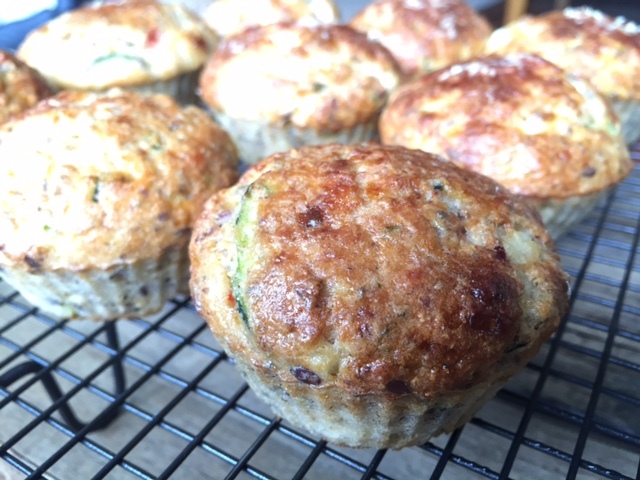 Or should that be post muffins guilt (one is never enough for me)…..
* I used pumpkin seeds (pepitas) and sunflower seeds but you could also used flax seeds and/or chia seeds. Pre-heat the oven to 175C on a conventional setting and prepare your muffin tins. Sift the flour, almond meal and baking powder into a large bowl. 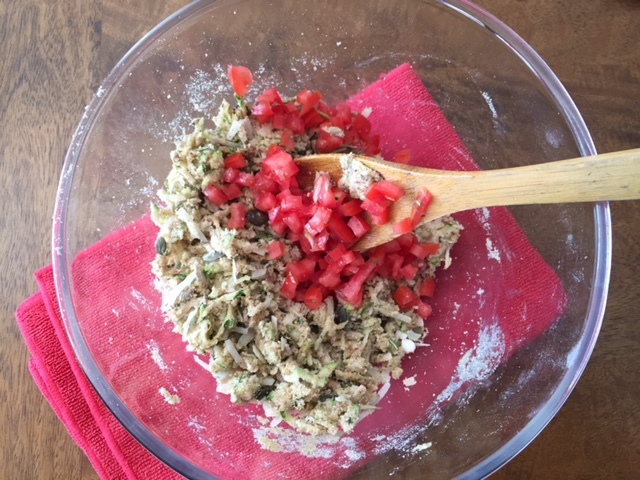 Add the baking soda, grated zucchini, seeds, diced tomato and two thirds of the parmesan. 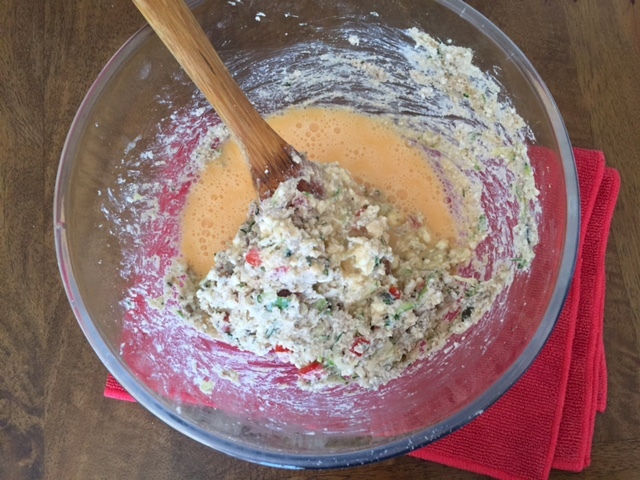 Mix well and then add the cottage cheese, oil and water. Season with salt and pepper. Combine the mixture to an even consistency and then fold through the lightly beaten eggs. Spoon out the mixture into each muffin case – filling each one to 3/4 full. 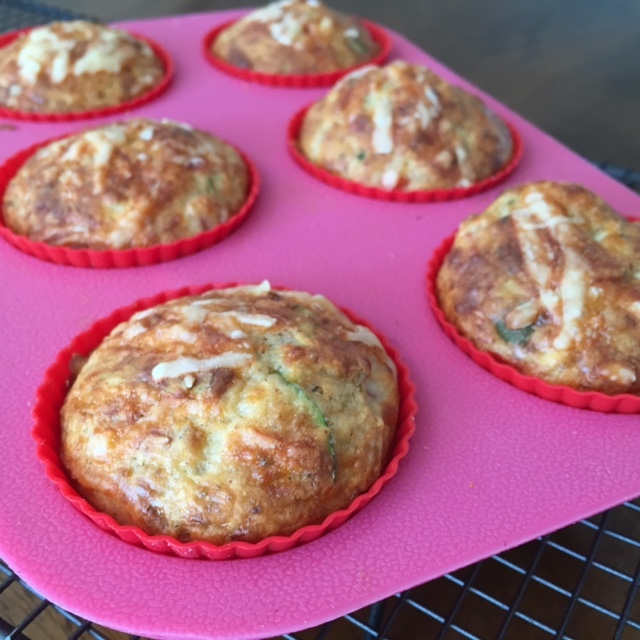 Sprinkle a little of the remaining parmesan over the top of each muffin. Place the muffins on the middle shelf of the oven and cook for 30-35 minutes. You’ll know there ready when the tops are golden brown. Remove from the oven and allow to cool on a wire rack. Eat within 2 days or freeze. Are you a sweet or a savoury muffin fan? I’d love to be inspired by your favourite recipe (especially if it’s gluten and/or sugar free)……. 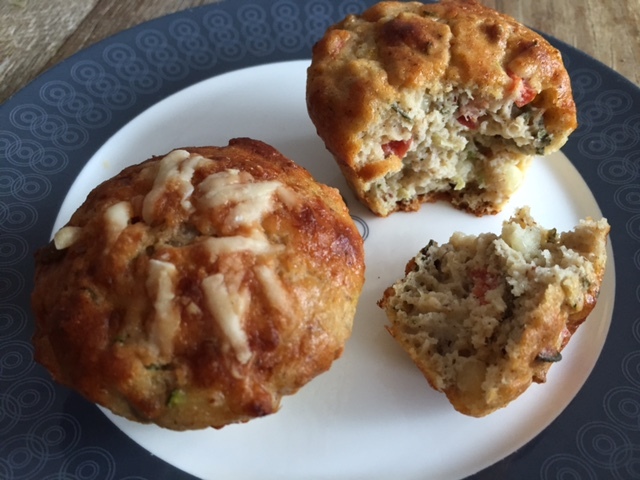 Tags: cottage cheese, gluten free, muffins, parmesan, zucchini. Bookmark the permalink. 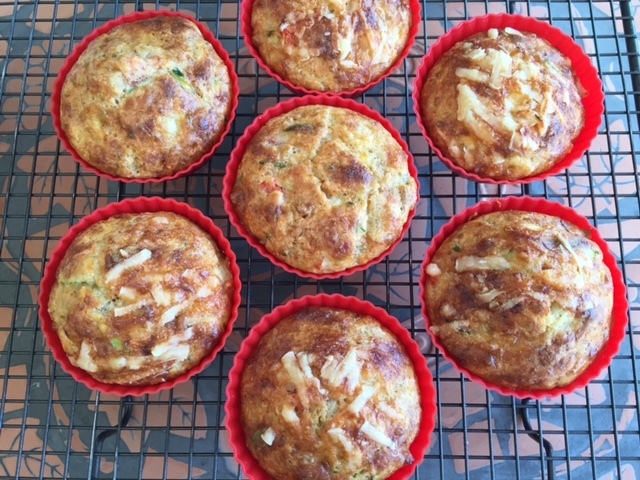 Thanks so much Tasha – and yes being gluten free makes them all the more appealing! Thanks so much – they are and the parmesan gives them so much flavour! Hi Ramya! Thanks for stopping by. You could omit the baking soda and just use some baking powder – may not rise as much but will still work!